There are more than 50 different machinery items in the machine hangar. These display items used to serve the national economy years ago. Some of them are made in Latvia. From the displayed fire-engines one is a very rare intercommunication and illumination motor vehicle (mobile fire headquarters) built at the beginning of the 1950s (in 1953). It has got its chassis from ZIS-150 vehicle. 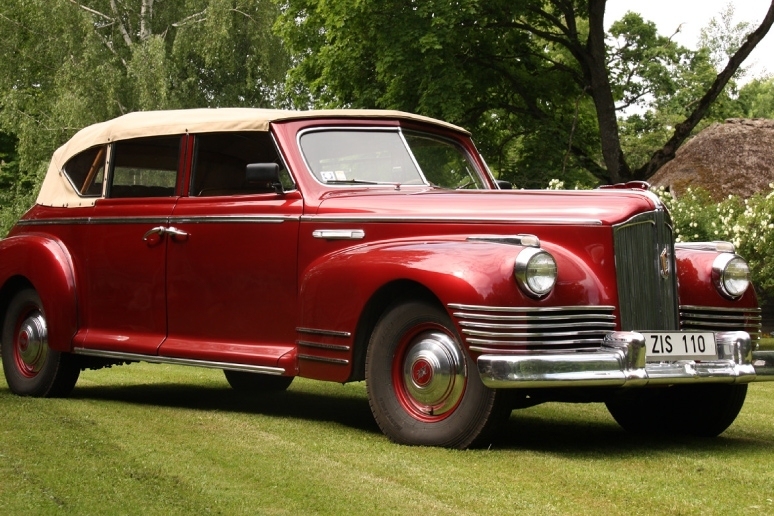 There are also a fire-escape built on Mercedes-Benz L6500 chassis (from 1938) and a custom-built fire-engine on Packard 1-8136 chassis in the middle of the 20s of the 20th century. These are the only objects to inspect in Latvia and also there are very few this kind of machinery in the world – less than ten have been maintained. The collection of the trucks is to be seen as a big within the territory of Latvia. There are seven exibits on display.The oldest (dates back to 1916) and also the rarest is ALBION A 10 vehicle. Possibly the only exhibit on display in the world. In the beginning of the 1920s it used to be one of the most popular makes in the Latvian Army. It was a really big truck for the end of the 19th century and the beginning of the 20th century with a traditional construction. Control lever is situated outside the cab and the rear tyres are driven by chains. Also there is a vehicle on display which used to be popular in Latvia FORD TT and American STUDEBAKER US-6 that is relevant to the Second World War. 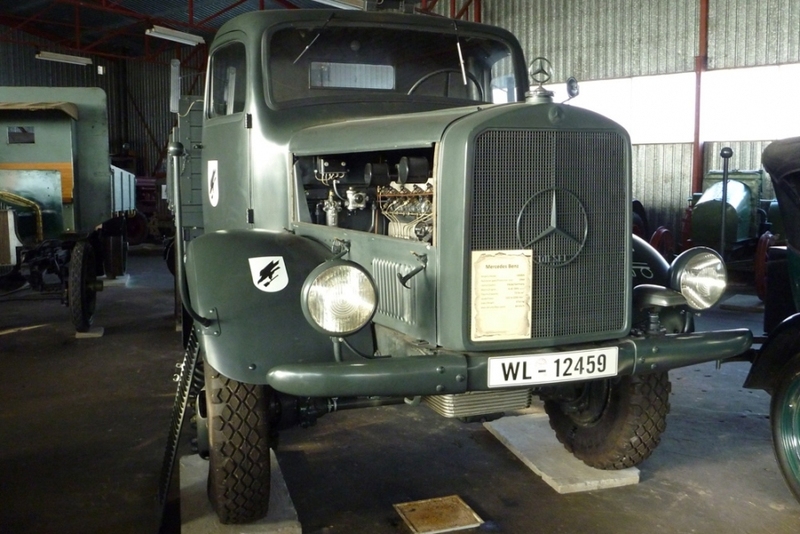 The model of MERCEDES-BENZ L4500A dates back to the same period in history – at the time the biggest truck with a very modern construction that was still seen as an up-to-date in the 1970s. The vehicle has undergone a perfect reconstruction and at the moment appears in a view and completion identical to the time of the Second World War when it was used by the German air forces (luftwaffe). The AA gun FLAK-38 which used to be widely operated gun in the German Army is placed in the space reserved for the load of the vehicle. Our museum offers the biggest exhibition of the agricultural tractors in the Baltics. There are more than 15 of them. Visitors will find both Fordson, DT-20 and MTZ-5 that used to be popular in Latvia and tractors of rare occurrence in 1930s - Case and John-Deer. A few tractors were built in Riga in the 1920s. One of them is on display in the museum. There are more than 15 vehicles in the collection of the motor cars.The oldest of the exhibits is the model of MAXWELL 25 which dates back to 1923. A real curiosity is ZIS 110B – the limousine of the highest class during the times of the Soviet Union. The makes of VOLGA, ZHIGULI and MOSKHVICH that used to be popular in the 60s and the 70s of the 20th century seem exotic today to the young people. Some people built motor cars themselves during Soviet Times. One of such vehicles can be viewed in the exhibition of the museum. The car was registered and took part in the traffic. The motorcycles which were often seen on the roads of Latvia in the 50s and the 60s of the last century IZH-350, IZH-49, M1M and K-58 are on display, too. The M1M and the K-58 were later known as Minsk and Kovrovec. 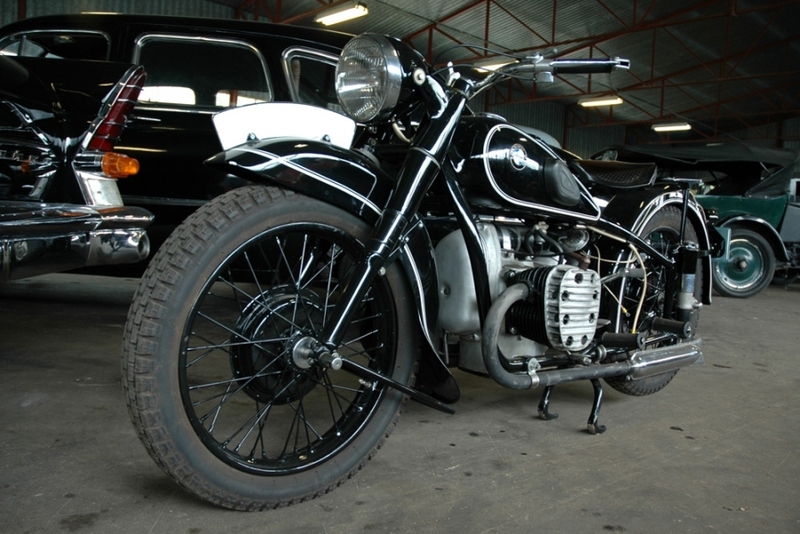 However, the motorcycles of the BMW make were seen much less. One of them is in the museum. That is BMW R71. A very popular model at the time which overtook its competitors for ten years. It was used as a model for the Soviet EMKA (M-72 model).